Haier T20 Cup match predictions and betting tips. Karachi Region Blues along with Peshawar Region stormed into the final of the Haier Mobile T-20 Cup after beating their rivals, Mulatn Region and Sialkot Region. Peshawar Region was honoured with a pride position in Group B of Haier Mobile T-20 Cup and they will anticipate grasping the semi-final against Sialkot Region. The supreme team from Group A, Multan Region, will play against the no.2 squad of Group B, Karachi Region Blues, in the 1st semi-final of Haier Mobile T-20. 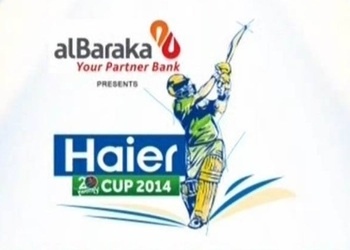 Bahawalpur Region is placed at no.4 in Group A of the Haier Mobile T-20 Cup and will anticipate a win against the no.2 unit Sialkot Region in the next match. Two supreme teams from Group B of Haier Mobile T-20 Cup, Karachi Region Blues and Peshawar Region will test their power against each other in the coming match. Two star studded teams of Haier Mobile T-20 Cup, Karachi Region Blues and Lahore Region Whites, with a lot of national players will fight in the next game. The no.4 team of Group B in the Haier Mobile T-20 Cup, Lahore Region Whites will try to enhance their position when they meet the no.2, Peshawar Region. Islamabad Region will be anticipating opening their account in Group B of Haier Mobile T-20 while Peshawar Region will look for stability in their next meeting. Two reasonably good sides in Group B of the Haier Mobile T-20 Cup, Faisalabad Region and Karachi Region Blues, will be in the field next for adding two points. Abbottabad Region will be searching for their maiden victory of the Haier Mobile T-20 Cup when they meet a rather strong unit of Pool B, Lahore Region Whites.